While you may never even recognize a good hair transplant, bad hair transplants can be spotted a mile away. Some people call them plugs or doll’s head or just plain ugly. Luckily, techniques for surgical hair transplants have come a long way. The old style punch method where 8-10 hairs or more were removed at one time and placed in a single incision have been done away with. New techniques such as the strip method and FUE hair transplants (follical unit) have made it possible to achieve permanent, natural results for an affordable price. The best way to ensure that you do not get a bad transplant is to investigate the doctor and his methods thoroughly before committing to a procedure. Although the Internet is a great way to start your search for information, the best way is by making an appointment to meet with the doctor in person. You will get much more valuable and credible information than you could find on the elsewhere. Be sure, when you are looking for hair transplant doctors, to insist that you see a surgical procedure in progress and meet a patient face-to-face during your consultation. Unfortunately, some physicians will overstate their experience or number of patients that they have worked with. Before and after pictures are wonderful to help you understand what type of results can be achieved but nothing will replace seeing it for yourself, in person. Look for a doctor that has decades of experience and specializes solely in surgical hair transplantation. The more transplants he has done, the better equipped he will be to give you the most natural results. If the doctor is using methods other than surgical hair restoration, you may want seek out a surgeon that has dedicated his practice to this one specific area. Experience is the key to being pleased with the outcome of your hair transplant. 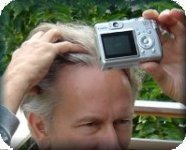 This entry was posted in Hair Damage, Hair Problems, Hair Transplant on October 19, 2009 by Larry Shapiro.